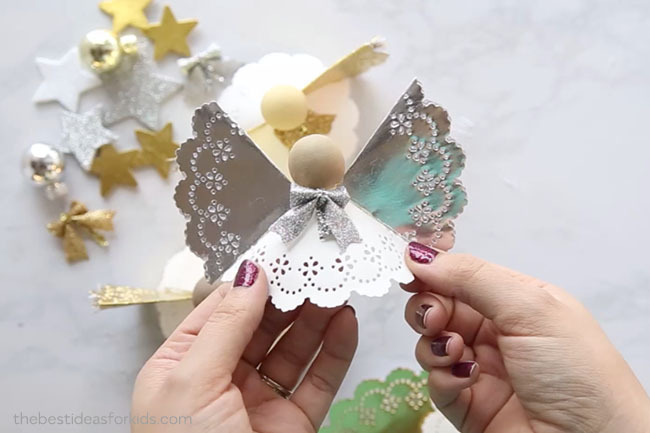 Making an angel craft can sometimes be a little advanced – especially for kids to make. 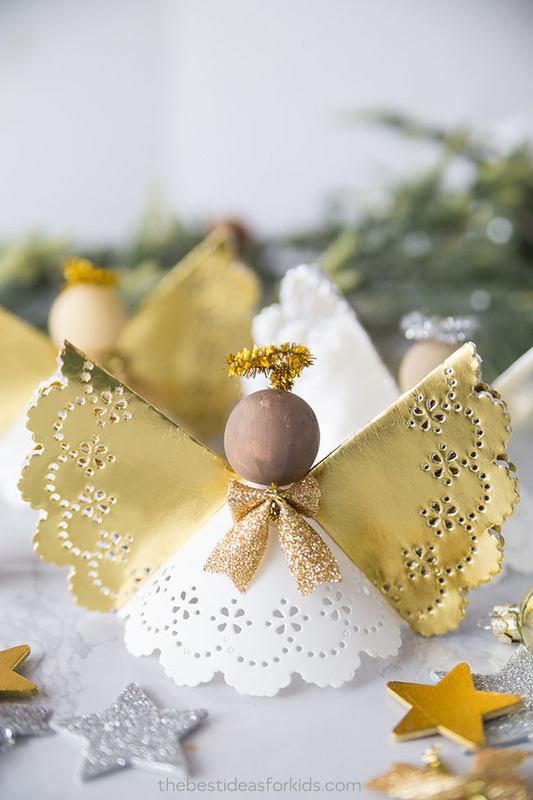 But this easy angel craft is really simple and turns out so beautiful! 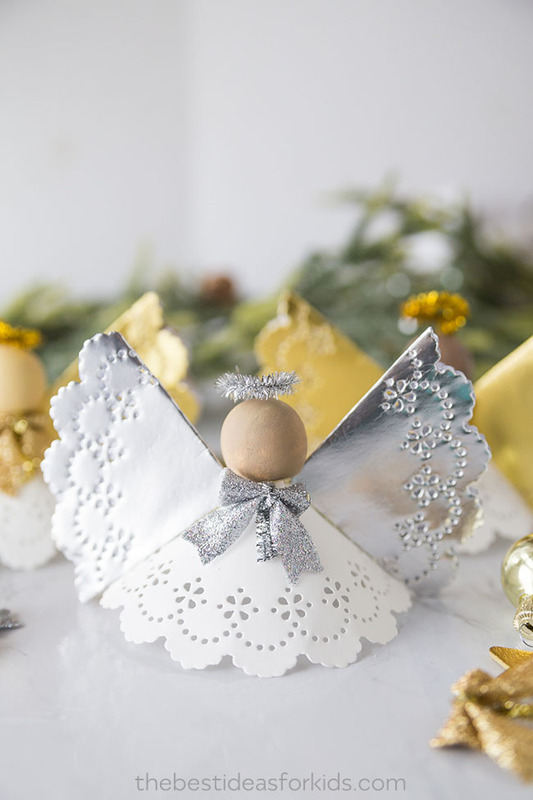 We love how you can make a silver, gold or even all-white angel. If you have colored doilies you can even make different colors too. 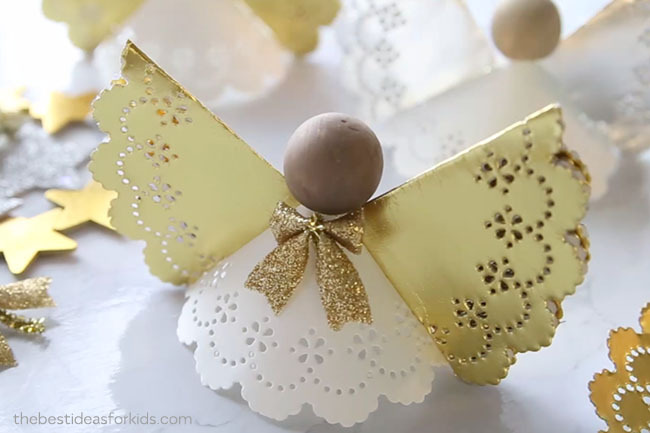 This doily angel craft is the perfect ornament for kids to help make. It would also make a great Christmas gift to give to friends, relatives or even classes to make to bring home. 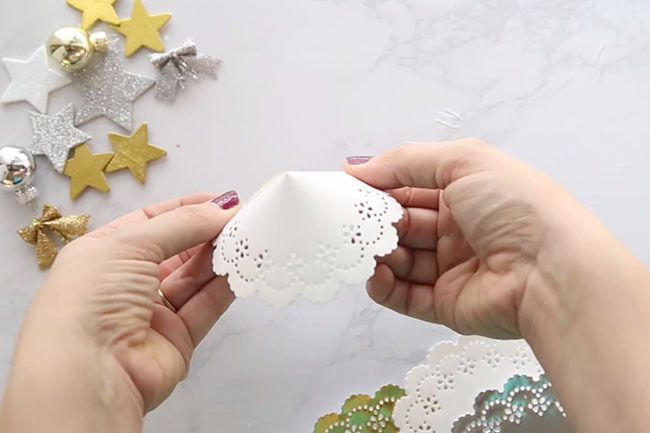 These paper doily angels are so sweet and simple to make! 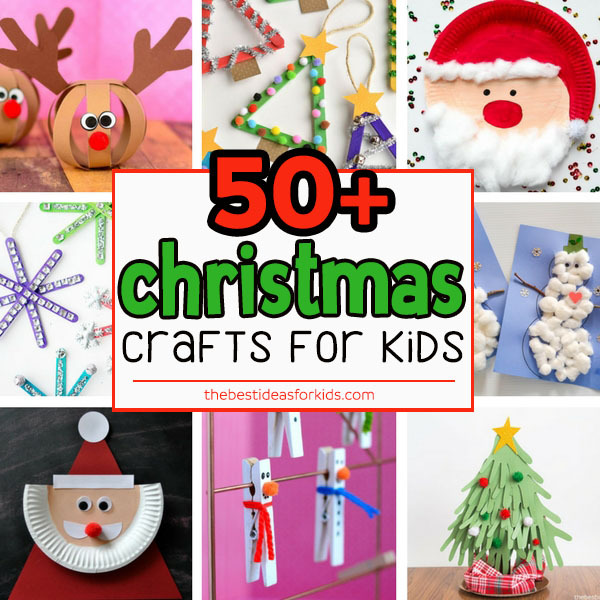 Kids will love helping to make them. You can place them around your house for decoration or glue some twine to the back for hanging on the Christmas tree. 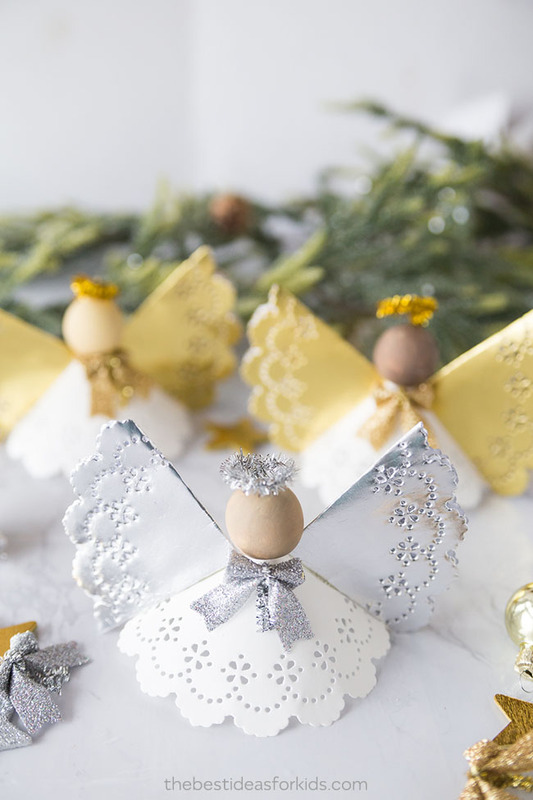 You can easily make a whole batch of these angels with just a few supplies. They are simple and quick to make! Perfect for giving as gifts to family members at Christmas. – We got our doilies at Michaels in the party section (by Martha Stewart), but here are a few similar packages from Amazon: Gold, Silver, White. Note the sizing on these may differ but they come in 3 sizes so the smaller one should be similar in size. The size of the doilies we used were 4.5 inches tall. 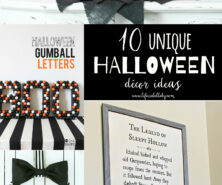 Small bow – we found ours in the Christmas section at Michaels, but you can use any sort of embellishment here. You can even use regular ribbon to create your own bow. 1. First, take your white doily and cut a slit half way through. Then wrap the edges around so that you get a piece that looks like this. 2. 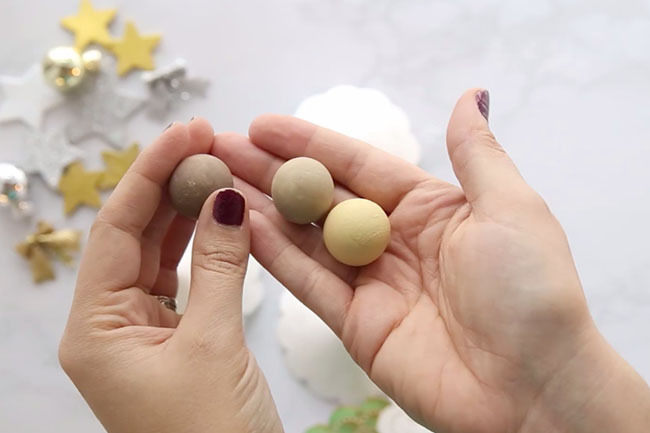 Paint your wooden balls with acrylic paint. 3. Hot glue your wooden ball to the top of the white paper doily. Adults should do this part. 4. Now make the wings. 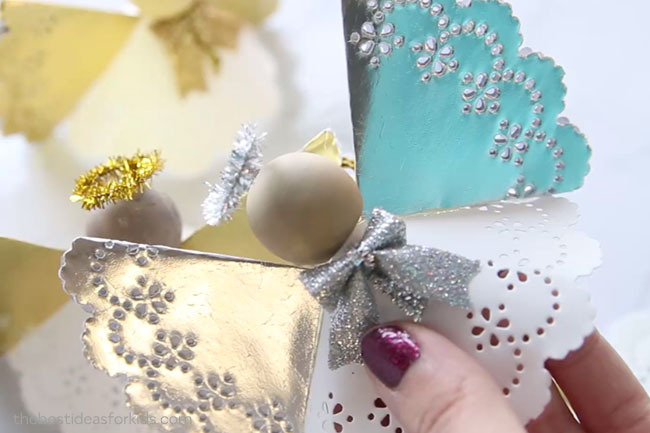 Take either silver or gold doilies and fold them over two times. You can also use white if you want a white angel. Then glue this to each side of the angel. 5. Add some embellishment to the front with a small ribbon bow. 6. Cut a small piece of gold or silver pipe cleaner. Create a circle and have a piece coming down to glue to the back of the angel. Hot glue this to the back of the angel. 7. 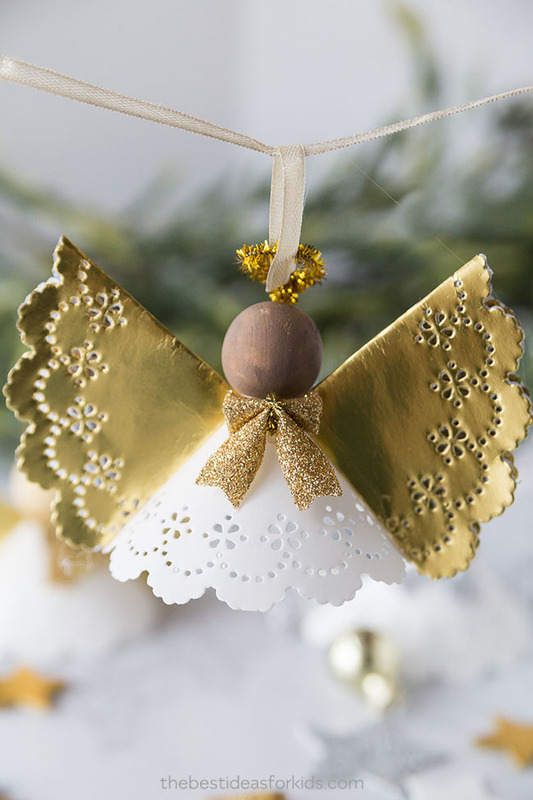 If you want to hang your angel craft on the Christmas tree, you’ll need to wrap some twine or ribbon around the halo. 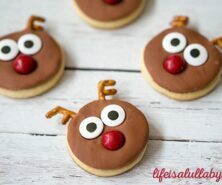 We love how simple and easy these little angels are to make! They turn out so beautiful that you’ll love making them and giving them away as gifts! 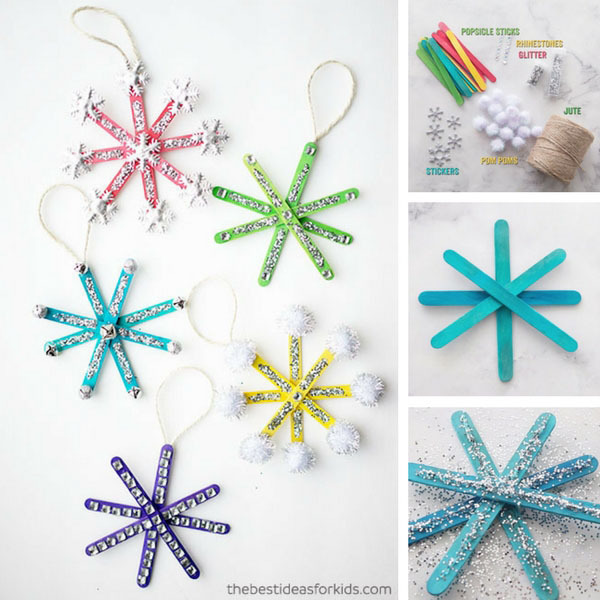 For more fun Christmas crafts, see these easy to make popsicle stick snowflakes! 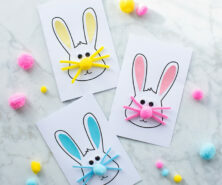 These are so fun to make, and we show you step-by-step in a video too! 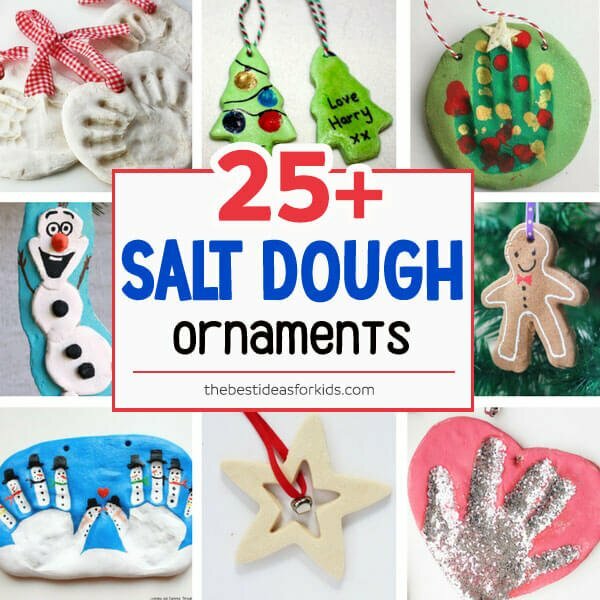 We have over 25+ salt dough ornaments featured here which make great keepsakes for Christmas! So pretty ! 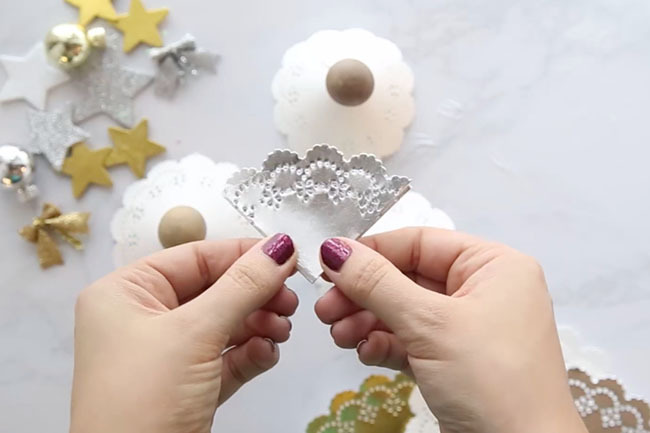 You can also make your own doilies with Martha Stewart crafts circle paper punch! ?